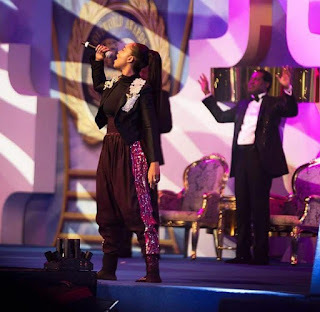 More than amazing is the description of this year’s LIMA Awards which was hosted by Pastor Chris Oyakhilome, The President of Loveworld Ministries aka Christ Embassy. LIMA Awards is a Christ centered artistry gospel events that features the best of the best.It’s also a gospel-inspired event designed to unearth, develop and showcase creative talents. The aim is to recognize and celebrate excellent Christian music and musicians, as well as individuals and groups who perform creative arts, such as spoken word artistes, dancers, comedians, amongst others. This year’s LIMA awards was held on the 19th of november, 2017 at the LoveWorld Convocation Arena and it was an exiciting, gracious & awesome night. The artiste awarded majorly are a product of Pastor Chris and LoveWorld ministry as a whole and they were celebrated for their good work and encouraged to do more. Testimony, Sinach, Martin Pk, Samsung, Put and Sophia, JerryK, Eben, Fallon light, Israel strong, Frank Edwards, Rap Nation, Chooker, Ur flames, Jamine, Tsharp, Wisdom etc.